Everyone has their own experience, so expect to hear a few people call them “a scam” or at the very least a waste of money. Others will regale you with their tale of how having a warranty saved them from a freezing winter because they couldn’t afford to fix their furnace without it. 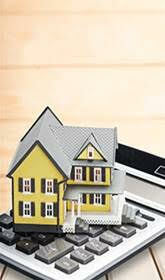 “A basic home warranty costs about $350 to $500 a year or more,” saysMoney Talks News. A warranty typically covers plumbing, hot water heaters, and heating/electrical system components. More expensive, ‘enhanced’ plans can provide added coverage for things like your washer/dryer, air conditioning system, refrigerator, septic tank, and garage door openers. You can typically break down the annual cost into more manageable monthly payments, but the cost of the warranty itself isn’t the only thing you’re responsible for paying. Most home warranties include either a service call fee or a deductible, so it’s important to consider those factors in addition to the home warranty plan itself. Many homeowners opt for a home warranty for major “just-in-case” scenarios. Just in case the air conditioning unit crashes and burns. Just in case the hot water heater dies. With the cost of some of these items running into the thousands—the average cost for a new air conditioning unit and installation, per HomeAdvisor, is $5,413!—the peace of mind factor is huge. “For a homeowner who doesn’t have an emergency fund, or who wants to protect their emergency fund, a home warranty can act as a buffer,” saysInvestopedia. Home warranties also make sense for people who aren’t handy or don’t want to deal with finding a contractor. There’s always a chance that the item you need repaired is not covered under your warranty for one reason or another. Some problems simply won’t be covered by a warranty, and most home warranties won’t cover components that haven’t been properly maintained.” The lesson here: Read the fine print, so you’re prepared.